Thank you for your request. The presented object is a lithograph print after a drawing with unknown measurements. It depicts a standing female figure with a shawl. The print is signed in the plate and dated with 1971. 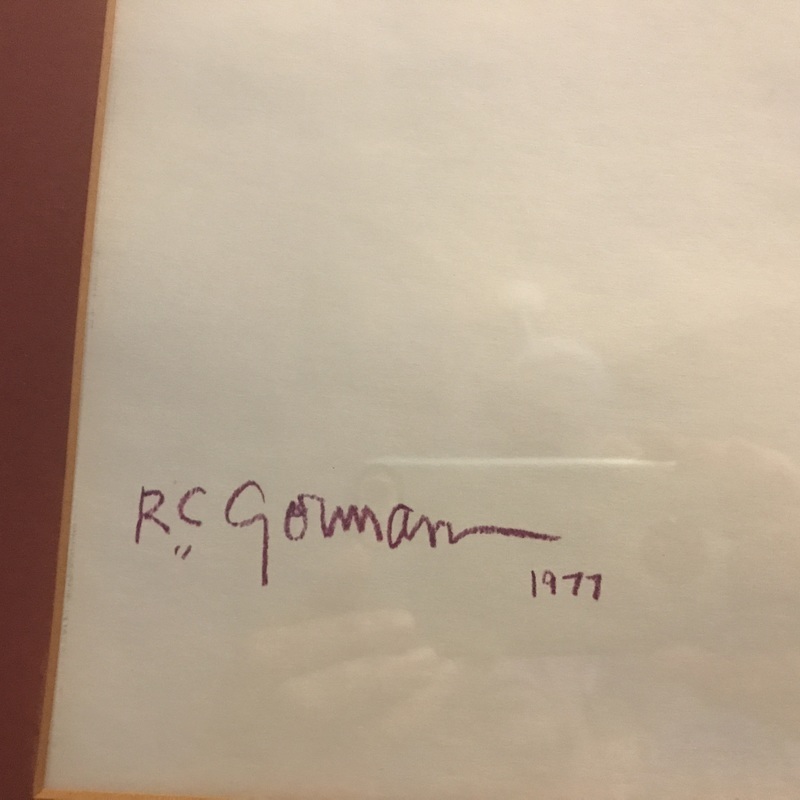 In the right corner, the print is signed by hand by Rudolph Carl GORMAN (1931-2005). You can see at the end of the lines of the shawl over the signature in pencil the end of the printing plate. An estimate would be between 200 to 400 USD.